Since the early 1800’s when Groveland was known as “Second Garrotte”, women have been running businesses here. The Hotel Charlotte’s listing in the National Register of Historic places mentions a number of women who were cattle ranchers, doctors and restaurant owners; Charlotte DeFerrari, the hotel’s first owner, was one of these pioneering businesswomen. Born in Genoa, Italy in 1882, Charlotte came with her family to Groveland as a young woman around 1900. Perhaps she was drawn, like many other immigrants, to the adventure and possibilities of the West. Charlotte’s father died in a mining accident and she and her brothers stayed on in Groveland. They all put down roots and started building their new lives. Charlotte’s uncle, Giacomo DeFerrari, owned the Iron Door Saloon in Groveland and Charlotte worked for him cooking for his patrons. Charlotte worked hard and used her talents as a cook to make a name for herself in the area. She became very well-known and by 1916, she opened her first business, The Hetch Hetchy Restaurant. In 1921, she commissioned local architect, Frank Ferretti to build the Hotel Charlotte. Charlotte’s reputation as a cook continued to draw travelers and locals alike to her establishment. Charlotte, like most other restaurant owners in the area, continued to serve alcohol during Prohibition. In December of 1921, she was fined $400 for serving alcohol in her business, but that didn’t stop her. As her business grew, Charlotte added a separate restaurant to the building in 1927-1928. During the days of the Hetch Hetchy Dam project’s boom days, Hotel Charlotte catered to the thousands of people involved in working on the dam. By 1934, the dam and its infrastructure completed, the workers were gone and only a few of the 11 hotels once operating in Groveland survived. Luckily, Hotel Charlotte did. 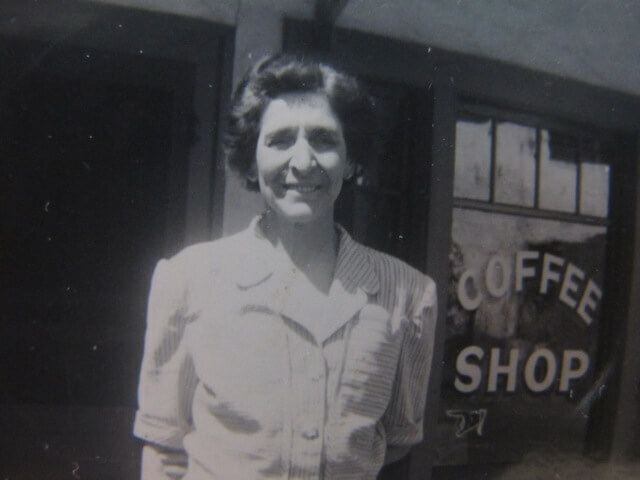 Charlotte DeFerrari continued to serve great food and hospitality through the Great Depression. In 1930, 50 cents bought a steak dinner with coffee and pie. 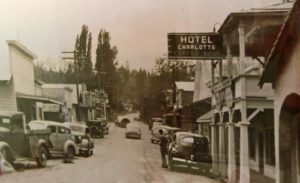 As Yosemite began to draw visitors to the Groveland area, Hotel Charlotte started the next phase of its life as a stopping place for tourists. Charlotte DeFerrari ran the Hotel Charlotte until her retirement in 1948. She was truly ahead of her time and a modern businesswoman. 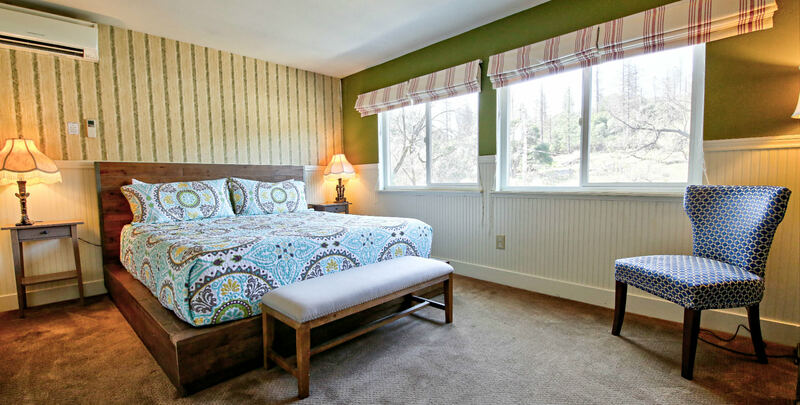 The Hotel Charlotte of today caters to guests from around the world who are coming to see Yosemite National Park and are looking for a taste of the Gold Rush and modern hospitality. 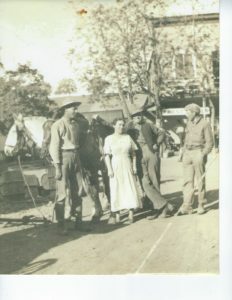 This entry was posted in Groveland, History, Local Area, Yosemite by admin. Bookmark the permalink.